Business | More heat, less steam! Emerging markets: can you mitigate Know Your Customer (KYC) risk? Emerging market opportunities bring with them a new level of KYC risk – it is important that financial institutions identify and understand the associated due diligence challenges. Businesses are expanding their reach and exploring opportunities in new territories as never before. That is not surprising, when you consider that 70% of world growth is expected to come from emerging markets by 2025. Populations are rising and the ratio of those working to retirement means a growing customer base, especially for high-tech products and services. In China, the bond market is predicted to double in size from the current US$9 trillion over the next five years. That will make it bigger than Japan’s and second only to the United States. But all these opportunities come with a new level of risk and fresh set of challenges. Language barriers, depth and breadth of information and operational efficiency can make it harder to on-board counter-parties (customers). And without conducting enhanced due diligence (EDD), reputations and revenues could be at risk should companies, unknowingly (or knowingly) conduct business with individuals or entities engaged in criminal activities. What parts of the KYC compliance program should be a priority? I would prioritize reliable data, i.e. ‘golden sources’ of accurate verified data. Screening utilities can also reduce the KYC compliance burden without negatively impacting the client on-boarding experience. I think the automation of due diligence processes to reduce the burden of manual processing and duplication without compromising on compliance or risk is also key. How does EDD reporting provide depth for better understanding customers? The greatest risks in KYC and AML compliance come from high-risk or high-net worth customers and large transactions. That is why it is appropriate to use EDD for those customers and transactions to provide greater detail and depth than would be the case with customer due diligence (CDD). Regulators also require a higher degree of evidence that EDD has been undertaken and the collection of more detailed information, all of which has to be documented in detail. In order to provide the required assurance, both internally and externally, EDD is likely to prove much more of a burden on the organization in terms of cost, time and effort. This is particularly true in emerging markets where the costs of undertaking due diligence to the necessary level of detail is likely to be significantly greater than in advanced markets. It is therefore vital to ensure that the segmentation of new and existing clients into CDD and EDD compliance regimes is robust and reliable. The segmentation also needs to be regularly monitored to ensure that changes in customer profiles adequately reflect the level of risk assigned to the customer. When identifying an EDD vendor, what criteria are most important? Reputation is probably the most important criteria because you are outsourcing an important element of your compliance risk management to a third party. How reliable are their processes and procedures in ensuring the accuracy of the identity information that they obtain on your behalf? Are you seeking a global solution or are you adopting a country by country model? The answer determines the importance of a global footprint in making your decision. A lot will also depend on the likely number of customers requiring EDD and future growth in those numbers when assessing the capability and capacity of the third party vendor. Emerging markets webinar: can you mitigate KYC risk? In their article, Leapfrog Succession: A New Trend in Appointing CEOs by Roselinde Torres, Gerry Hansell, Kaye Foster and David Baron, the authors identified an emerging trend whereby an increasing number of CEOs are ‘leapfrog leaders’ meaning that they have been fast-tracked past the more senior executives in the organisation. The reasons for making these often younger, less experienced appointments are usually to do with either a shortage of suitably qualified experienced candidates or a desire for the organisation to make a step-change by bringing in someone who is more forward looking and possibly more up to date with the latest business trends. With all new CEO appointments, boards should ensure that they do as much as they can to ensure a smooth transition and provide the support that is needed to help to make the appointment a success – in the case of ‘leapfrog leaders’ the Chairman and the other Non-Executives will need to be particularly aware of the potential risks and pitfalls of adopting and implementing this CEO succession strategy. The two most obvious risks in making a leapfrog CEO appointment is that the new CEO will probably not have had experience of the role, certainly not at this new level and the other executives, who may have been hoping to take on the CEO role themselves may be disappointed or find it difficult to report to someone who has not paid their dues in climbing the corporate career ladder. At an early stage in the recruitment process, ensure that the selection criteria for the new CEO is owned by the board, including the other executives, so that there are no surprises when ‘leapfrog; candidates appear. Many of the ‘leapfrog’ appointments have been made in the retail, technology and telecommunications sectors where a requirement for knowledge and experience of digital media, new technologies or disruptive business models is likely to lead to the selection of younger, more inexperienced candidates. These are most likely to be the skills that the current executives are lacking in – if they understand the business need for the new CEO’s profile then they are more likely to accept someone who is younger and less experienced. Unless a ‘quick fix’ is essential, where, for example the current CEO has quit, or there has been a dramatic shift in the market caused by a disruptive new entrant, it is advisable to bring the new CEO along by appointing them first to a subsidiary board, or to the main board in a non CEO executive role. This allows them to gain experience at the right level and earn the respect of their colleagues on the board. Investors will inevitably be anxious about the appointment of someone who has not earned their stripes or, even when they welcome the appointment as a refreshing change to a fading CEO, they may have unrealistic expectations. These must be managed by making sure influential or activist investors are aware of the proposed succession strategy and they are kept informed of progress at regular intervals once the appointment has been made. It is usual for a newly appointed CEO to have a 100 day plan which balances the need to be seen to be making an impact in the new role with the requirement to take stock, listen, formulate ideas and earn respect. With a ‘leapfrog’ leader or in fact anyone who is in their first CEO role, it is a good idea to also run a board 100 day plan in parallel with the CEO’s own plan. This can begin with a thorough review by the board of the organisation’s Mission, Vision and Values followed by a review of the business model and strategy. This gives the new CEO time to bed-in whilst at the same time involving the rest of the board in the process. Coaching can play a vital role in ensuring the success of the new CEO appointment. The new CEO should have access to a personal coach, at least for the first 100 days to address the issues of lack of experience and possible conflicts with board members and senior management. The Chairman can also provide a useful coach/mentoring role for the new CEO and the other NEDs may also provide coaching for the other executives to try and avoid them feeling disappointed or demotivated. The Chairman and NEDs should anticipate that the new CEO appointment may trigger the loss of some of the other executives and they should ensure that their succession plans for directors and senior managers are up to date. Remuneration and/or Nomination Committee Chairs should make sure that their committees have contingency plans to cover any executive exodus. Longer term, succession plans for the rest of the organisation may have to be modified, especially if the new CEO appointment is the result of a major change of strategic direction for the business. Whilst many boards will stick with the tried and tested approaches to CEO succession of either promoting from within or recruiting externally from a pool of executives with similar skills, background and experience, it is almost inevitable, due to the rapidly changing dynamics in most business sectors that boards will have to appoint a CEO from outside their comfort zone at some time in the future. The role of the Chairman and the other Non-Executive Directors in making sure that such appointments are successful is becoming increasingly important. The practical advice outlined above can also be applied in all cases when a new CEO is appointed. In the US, where the CEO and Chairman roles are still, in the most part, combined it is important that someone, typically the outgoing CEO, takes on the Chairman role, at least for the first year of the new CEO’s appointment. There is talk in the US of creating a ‘lead director’ role which in many ways would replicate the role of the Non-Executive Chairman in the UK. Whatever the title, it is important that someone on the board takes responsibility for making a successful ‘leapfrog leader’ appointment. IoD Buckinghamshire, Directors Briefing, Have you got what it takes to be a Non-Executive Director? Price shown exclude VAT unless otherwise stated. If you’ve ever wanted to find out more about the opportunities offered by taking up a Non-Executive Director position, as well as how to find one and whether you’d be suited to the role – now’s your chance! David Doughty – a Chartered Director and CEO of Excellencia – will give you the highlights in a lively breakfast session at Hartwell House. 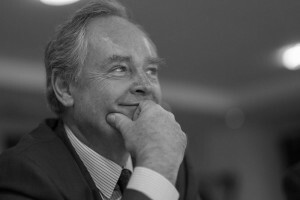 to his time as Chief Executive of the Oxfordshire Economic Partnership. This breakfast session is an opportunity to explore the realities of NED positions, deal with a few myths about the status of NEDs and see how you would respond to some typical scenarios, were you to be a NED on a company’s board. It will surely make for a fascinating start to the day! This event qualifies for 1.5 CPD hours. Mark Ashcroft had just parked his car and was waiting for the airport shuttle bus when his mobile phone rang. Normally he would let it go to voicemail but when he saw that it was from the new Chairman, Janice Young, he decided that he’d better take it. “Janice. What’s up?” he asked. “Mark, I know you are in transit, but I just wondered if you had seen the latest figures?” Janice said, getting straight to the point as usual. “It’s a bit early for the board pack to be out, isn’t it?” Mark replied, worried that he might have missed something. “Oh, don’t worry Mark, there’s plenty of time before the next Board meeting. No, this is just Mary being her usual efficient self and getting her finance report out nice and early.” Janice reassured him. Mary Cartwright was the Finance Director and had been in post before Mark joined the Board as a Non-Executive Director (NED) nearly three years ago. Her finance paper was usually the first document to go into the board pack and as such was always a useful indication that the next board meeting was fast approaching. “There are a couple of things I wanted you to have a look at in Mary’s report, I’ve highlighted them for you” Janice continued. “Let me guess. It wouldn’t be anything to do with the cost saving targets would it?” asked Mark. “Yes, it’s hard to tell at this stage but I think we might be going off track” said Janice. “That’s exactly why I wasn’t keen on the cost reduction program being so back-loaded,” replied Mark. “It makes it so difficult for us NEDs to see if things are going wrong, and by the time we do there’s no time to do anything about it” he continued. “My bus has just arrived, let me have a look at the figures when I get to the terminal and I’ll call you back” Mark said as he got onto the shuttle bus. As soon as he got into the terminal, Mark connected to the secure Board portal on his tablet, found Mary’s finance report and started to read. He soon spotted where Janice had highlighted the areas she was concerned about and where she had made some notes. “Hi, Janice. Mark here. I’ve got the report up on the screen and have read your notes” he said when he called Janice back. “I see what you mean” he continued. “Yes, I think we should arrange a conference call with the other NEDs. When does your plane get in? Janice asked. “I should be back on terra firma in about 3 hours” said Mark “It might be a good idea to ask Ken to do some graphs using these figures and from the previous reports so we can get some trend info. Can you get him to upload them into the portal so we can look at the data and make our notes against it, prior to the conference call?” he continued. “Good idea” said Janice “In the meantime, I’ll have a word with Mary and see if I can get some more background, Have a safe flight!”. This conversation is typical of the sort of pre-board meeting discussions that take place between non-executive directors, usually triggered by the arrival of the board pack. Traditionally, the arrival of this set of paper board documents is heralded by the gentle thud on the doormat as the often weighty package falls to the ground from the letter box just a few days before the next board meeting. This is followed by a frantic period of a few hours, which the non-executive director spends reading through the tome and making rushed notes in the margins as they progress. Any background research to corroborate greater understanding is often restricted to locally stored, confidential papers that the NED happens to have in their possession. Such limited access to historical information obviously limits preparation for the NED and weakens their effectiveness. Additionally, the late arrival of the paper based board pack sometimes necessitates that this vital review is carried out during the journey to the board meeting, meaning that confidential papers and previously made notes, may run the risk of being lost or misplaced during transit. When finally immersed in the depth of the meeting, the NED has to access those scribbled, handwritten notes, decipher and interpret them, often in the midst of sometimes-heated discussions, it is not surprising that this is not the best process for a successful, considered discussion. These days, given the technology that is widely available to even the longest serving NED, it is no longer necessary for directors to wait until the complete board pack is assembled and posted out to them. They can read and discuss each paper as soon as it is published on a secure Board portal application; either on their desktops, laptops, tablets or smart phones. This gives NEDs particularly, more time to discuss the content with their fellow directors, to ask for further information and to improve their understanding of the issues at hand so that their contributions at the boardroom table are well-informed, thorough and complete. Exactly what should directors do? The 2006 Companies Act, which set out to streamline and simplify UK Company law, ended up being one of the largest pieces of legislation ever written! If you are a company director and you have been aware of your duties under the 2006 Companies Act and you have been complying with them then you can be satisfied that you are acting within the law – if not, then you should review how you and your board operates to make sure that you are discharging your director’s duties correctly. When an SME executive takes a Non-Executive Director position on another SME board, not only does it benefit the individual and the board on which he or she sits as a NED, it also benefits the board on which they are an Executive Director – a true win-win-win situation. That is the message from Boardcircle – a company dedicated to helping small and medium sized enterprises (SMEs) to benefit from having Non-Executive Directors on their boards. Boardcircle was conceived by Martin Hawley, who has a passion for value-creating ideas, from his experience working in SMEs. He often found that the talented professionals he worked with at board level were closer to the mark than many professional advisors. Yet they could also be disadvantaged by being overly close and emotionally involved. Looking around the boardroom table Martin realised that his colleagues could add exceptional value to other boards, and in doing so develop their own skills as directors. Maybe some companies could share their directors as non-executives? And if this could be done at low cost it could revolutionise growing businesses, accelerating growth through better and more diverse governance. This, in a nutshell, is the problem that Boardcircle are solving; SMEs, especially those with high growth potential, are often running with a very lean board that is focused on the day-to-day challenges of growing a business. They do not have time to stand back and take a longer term view, or reflect on what they are learning as they address each new business challenge – and they are more often than not unable to afford to pay for any external advice that they may need. Development for the SME executive’s own board – bringing back the learning from the NED appointment to make their own boards more effective. Is it time for Charity Chief Executives to get on Board?